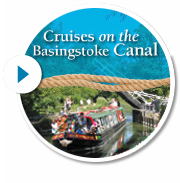 Retired local government officer Mike Lidstone from Woking decided, having walked the length of the Canal some 15 year ago, to do so again this year. This time he kept notes about his journey, which took place between February and July 2016, and took many photographs. Here is his account: A trip down memory canal.